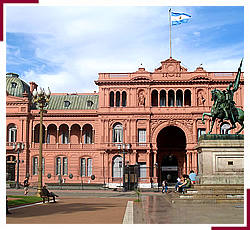 Welcome to our Travel Guide About Buenos Aires Argentina, Latin America, the city of the cities that has it all: art, culture, history and beauty united in what once was called "the Paris of Latin America". But, despite its European connections, Buenos Aires definitely has it's own flavor. 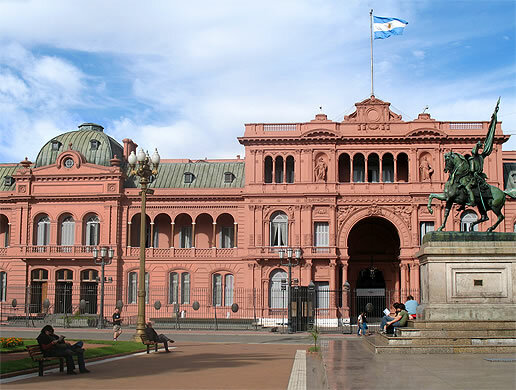 Travel to Buenos Aires for any kind of vacation and know this Cosmopolitan city, with it's 13 million inhabitants, a unique destination where everything is possible; it's dynamic and yet traditional, historic and avant-gardist. There are simple too many things to do: choose among interesting tourist attractions such as museums, art galleries, theatres, monuments and churches, the best restaurants & cafes, squares, green parks and gardens, romantic alleys and beautiful colonial architecture, as well as modern shopping malls and antique fairs. There are many distinct neighborhoods to visit. You can party in hip Palermo, stroll along the waterline of Puerto Madero, look for beautiful antiques in the boutiques of San Telmo, dance the tango in La Boca, visit museums in the city centre, spoil yourself with some of Recoleta's designer clothes or learn Spanish! It is impossible to get bored in the lively city of Buenos Aires. Our travel guide will be your guide: we have selected the best hotels and hostals in Buenos Aires for you; also visit our section tours, city tour, restaurant Buenos Aires, as well as tourist attractions and adventure travel. Come and know all about Buenos Aires and it's hidden secrets.